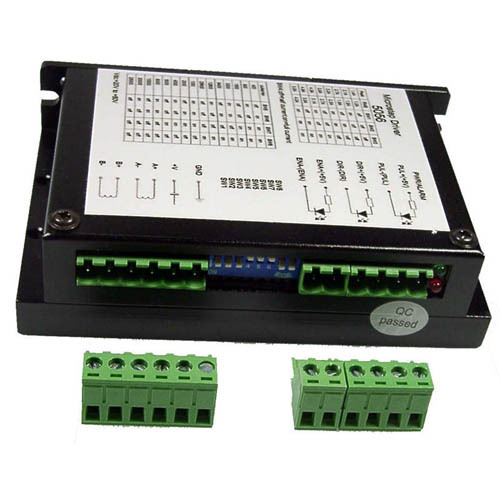 Stepper Drive ND556 (HP 5056) 50V 5,6A (2phase) | DamenCNC B.V. This driver comes tested and assembled. Is great for the bigger applications. Converting a large lathe like an AI or a bridgeport mill is not uncommon for these drivers. The driver can be connected to the interface kit offered in electronic parts. Combination with 2amp and 4amp drivers is possible.